A very cool action-mystery, film-noir, that really is exactly what it looks like, with a clever conspiracy plot. Jack Reacher is a smart action movie. It’s also a hell of a mystery. This is dark film-noir stuff with tom cruise playing the title character, called in to investigate a situation where an assassin has killed multiple people all at once, all seeming like average pedestrians who just happened to be at the wrong place at the wrong time. The plot gets a lot more intricate than that as reacher begins his investigation. This movie is great for all sorts of reasons, including that Jack Reacher never puts clues together that we can’t follow for ourselves. Another reason is the way he doesn’t have brilliant theories about anything and actually flip flops his mind about the case as he discovers more about it. Tom Cruise is great in this role and it’s a very enjoyable film. 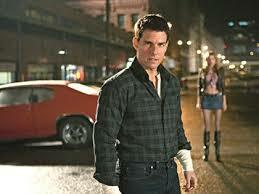 Jack Reacher is a terrific film. It is exactly the kind of movie I was hoping it would be, which is to say a dark mystery of complicated and twisty proportions. Most movies in this genre either get the mystery angle or the action scenes right, but usually not both. Jack Reacher delivers on both categories, and tom cruise really fits the role nicely. Christopher Macquarie, who always reminds me of Paul Schrader, directed the movie. That’s because McQuerie, like Schrader, made his bones as a writer and by writing one of the best movies of all time. That movie was the usual suspects. Paul Schrader wrote Taxi Driver and also started out as a screenwriter. Then both men turned to directing, and both direct dark noir-like movies. In the case of Schrader, they tend to be more dramatic. In the case of Macquarie, they definitely lean more towards action. Macquarie only directed one movie before this one, and it wasn’t really all that good. That movie was the way of the gun with Ryan Philippe and Benecio Del Toro. The problem with the film was that it went too hard at the comedy angle and sacrificed the story as a result. Jack Reacher doesn’t make the same mistake. There’s a little comedy sprinkled in here and there, every once in a while, but nothing big and nothing that distracts us from the story. That story is told really nicely here. It’s a mystery which unfolds in such a way that it is very difficult to predict. The movie starts with the murder of a number of people who are out walking or running by the water. A sniper pulls up to a garage across the water, takes out his gun, and lets loose. Then he drives off and the next thing we know, a man named Barr has been accused of the murders and locked away. Bar asks for Jack Reacher before he is beat up in prison and put into a coma. Jack Reacher shows up, only not as Barr’s friend. That’s where this movie goes a different route than one might expect. Jack Reacher is there to see that Barr is put to death. He tells Barr’s lawyer, Helen (Rosamund Pike), a story about something that Barr did while overseas, killing many Iranians simply because he needed to fire his weapon. He also spells out a theory for why he thinks Barr did it, and couldn’t resist killing, having been over there for years without ever getting to take a shot at the enemy, which is exactly what he signed up to do. But then the movie starts to get interesting. Clues begin to turn up which would lead Reacher to believe that maybe Barr didn’t do it after all. This isn’t too far from the usual movie of this sort, and how things work out, only here the murders are actually part of a big conspiracy. There is a very unique reason for why these people were killed and for who killed them. And Jack Reached really doesn’t have much to go on to figure it all out. I like that Reacher is no superhero or super smart detective. He’s a long way from Downey Jr.’s Sherlock Holmes, and often doesn’t have any more clues or any better ability at figuring things out, and then we do. When he is jumped at a bar, for example, his only clue is to track down the kids who jumped him and hope that they can point him in the direction of the person who hired them to attack him. Tom Cruise is really great here, in the title role. He might not be the greatest person in the world (all of the scientology stuff, and stories about him trying to convert people), but he is definitely a talented actor. And he usually picks pretty good projects. This movie is definitely one of them. He gets to play mar. Badass and cool in a way that is very different from what he does in the Mission Impossible movies. If that character, Ethan Hunt, is the PG-13, family-friendly hero, than Jack Reacher is the rated R, take no prisoners type. In the later scenes of the movie, the mystery runs out and the movie turns into a pure action film. That’s okay though, because the action works. It’s very well done here, in the kind of way where Reacher has to get past multiple stages and guardians to get at his real target. All of that kind of reminds me of the movie taken, with another aging action star, Liam Neeson. 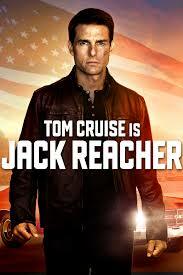 Only that movie was pure action, and Jack Reacher has got the mystery angle going for it as well. The movie nicely combines the two genres, action and mystery, in ways that enable it to only focus on one avenue at a time and really get it right. Sure there are fights mixed in throughout the movie, right in the middle of the mystery, but they never interfere with the story, and instead just help to push it along. The movie is told in a really creative way that makes it so we don’t even know what the mystery is, exactly, until it really gets going. I like that Reacher starts out on one side of the case and ends up on the other, once he figures a few things out. This is a very cool movie.